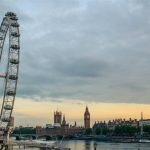 At the end of last year I was browsing the internet for interesting things to do in London and stumbled upon the London Transport Museum Hidden London Tours. 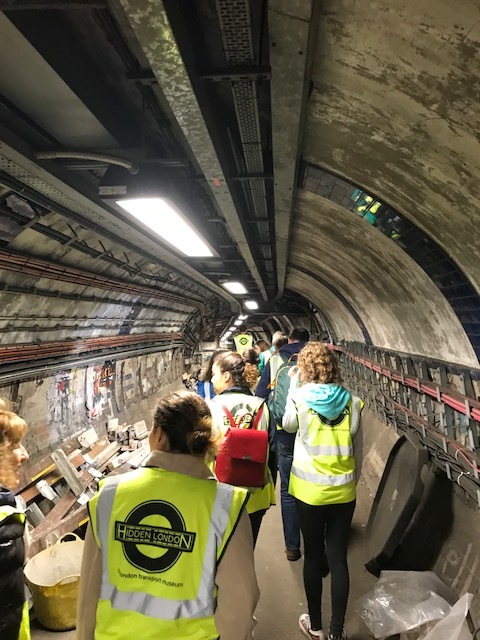 I was intrigued to find out that these tours offer a unique opportunity to explore disused tube stations. Coincidentally, my timing for finding out about these tours were when the tickets were just released. 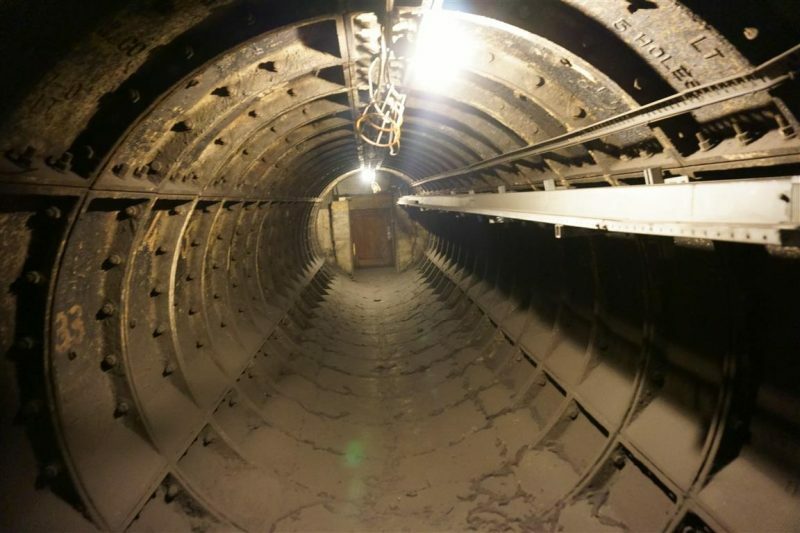 We were interested in going to the “Euston station: Lost Tunnels” tour and were lucky enough to get the last two available tickets for April this year. On the day of the tour we arrived at the meeting point on Melton Street near Euston station. We were told to be there 15 minutes prior to the tour start time. This was necessary for registration, to run through the health and safety checks and to put on our high viz jackets. Once the prerequisites were completed, we were then introduced to the two tour guides for the tour. We were led into a building that used to be part of one of the original Euston station buildings. For about 20 minutes we learnt about the stations interesting history. This was accompanied by a slide show of black and white photographs and diagrams of the tunnels. Euston station opened on the 20th of July 1837 as the terminus of the London & Birmingham Railway (L&BR). When the line to Birmingham was completed on the 7th of September 1838 it became the first railway to connect London with the Midlands (an area roughly spanning central England). Until 1846 L&BR united with The Liverpool & Manchester Railway and Grand Junction Railway to form the London & North Western Railway (L&NWR). By February 1848 it was possible to travel from Euston to Manchester, Liverpool, Glasgow and Edinburgh, via Birmingham. By 1903 two competing companies, the Charing Cross, Euston & Hampstead Railway (CCE&HR) and the City & South London Railway (C&SLR) gained Parliamentary approval for stations near the L&NWR’s Euston terminus. This gave them access to the passenger traffic travelling into London from the Midlands and the North. 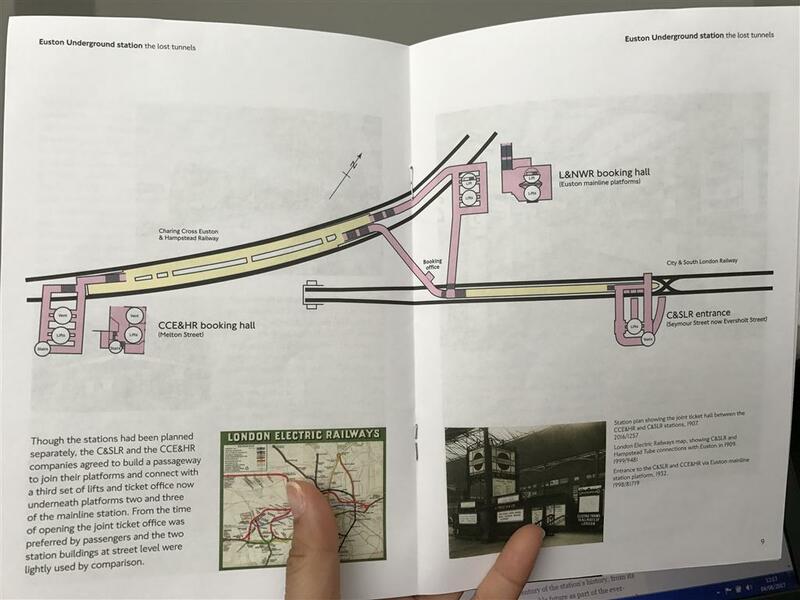 Initially, neither company were allowed to have entrances on the mainline station site. 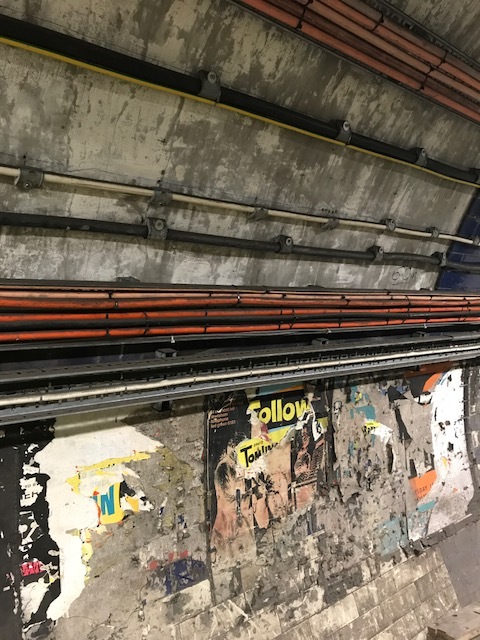 Instead they were allowed to build a shared underground ticket hall below their concourse, connected to tunnels linked to the two tube stations on opposite sides of the main railway station. The C&SLR station’s entrance was located on Seymour Street(now Eversholt Street) and the CCE&HR station was constructed on the corner of Drummond Street and Melton Street. On the 30th of September 1914 both of these stations were closed to save money. In 1934 the disused C&SLR station was then demolished. However the CCE&HR building on Melton street survived as it contains an essential ventilation shaft for the Northern line today. This is the building where we were now having our history lesson. From the Melton street building we were then led into Euston station and headed for the Northern line, Bank branch platform. At the end of the platform we disappeared into a closed and locked gate. 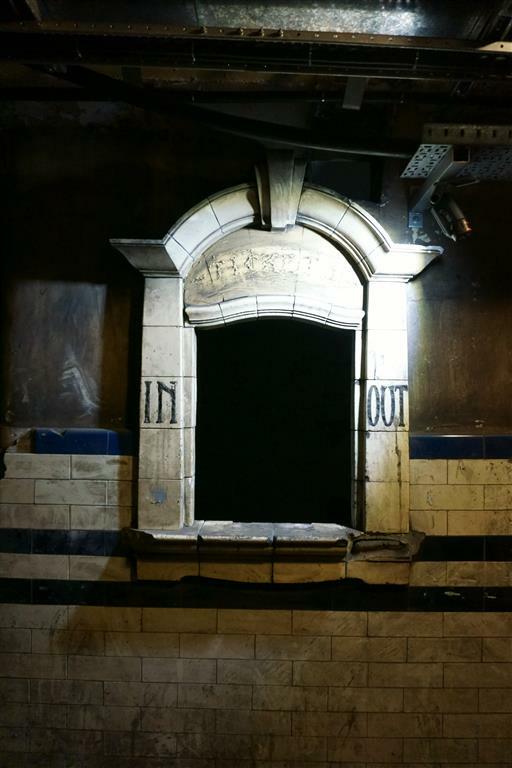 We were about to embark on a tour of the dark and dusty passageways which was once used by the travelling public. The following picture gives an idea of where we were. The pale pink tunnels are the closed off ones. 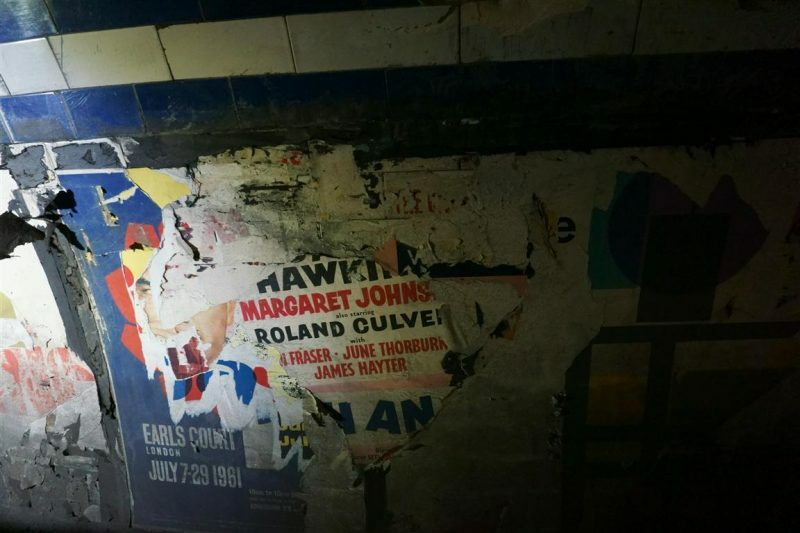 Within the tunnels there were many remnants of posters and advertisements dating back to the 1960s providing a sort of time capsule. It felt almost surreal to see the life that once existed in these tunnels. Some of the tunnels were quite well lit and other parts required the use of torches by the tour guides. 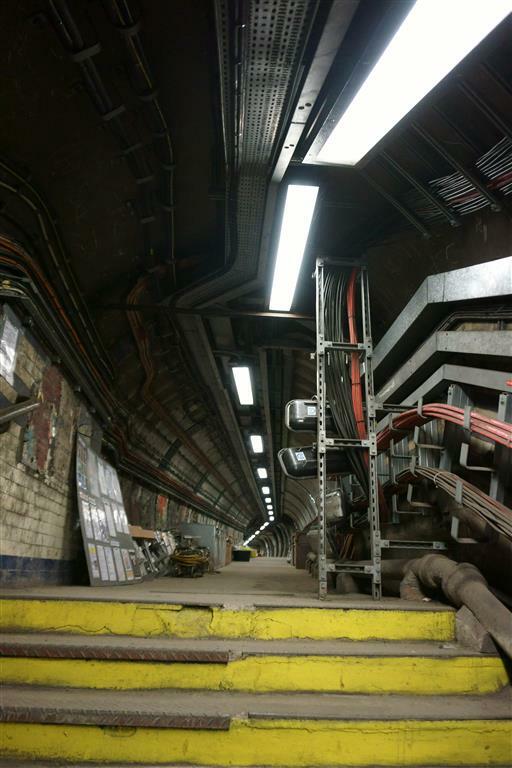 The picture below is of the old ticket hall in the tunnel. 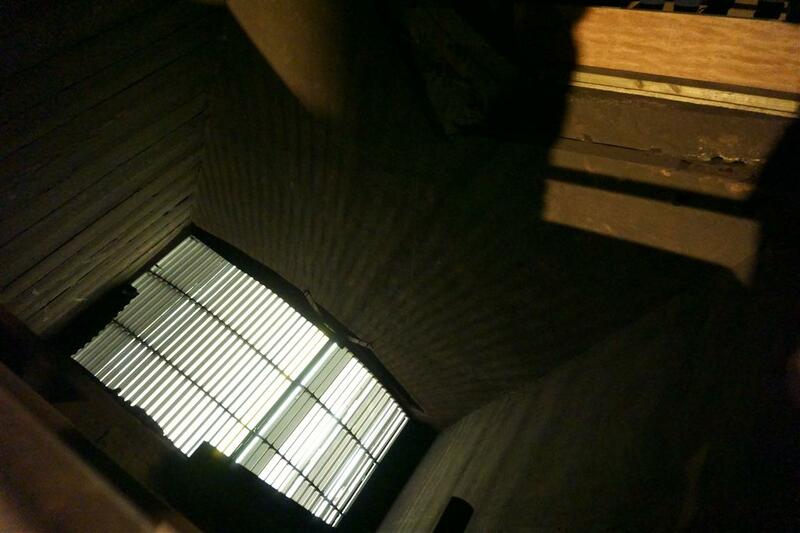 This is the lift shaft which is now open and is used for ventilation to support the current underground network. Walking further on, I was delighted to be in front of the group and was able to get this amazing shot of the tunnel. The tour is 75 minutes long and costs £35. It’s not cheap but definitely worth the unique experience in my opinion. 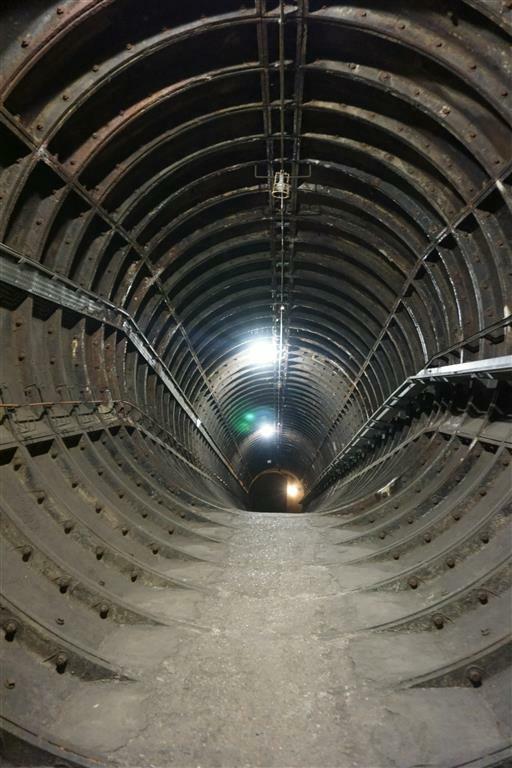 It was great to experience a slice of history and be transported back in time to these passageways that have been concealed for over 50 years. 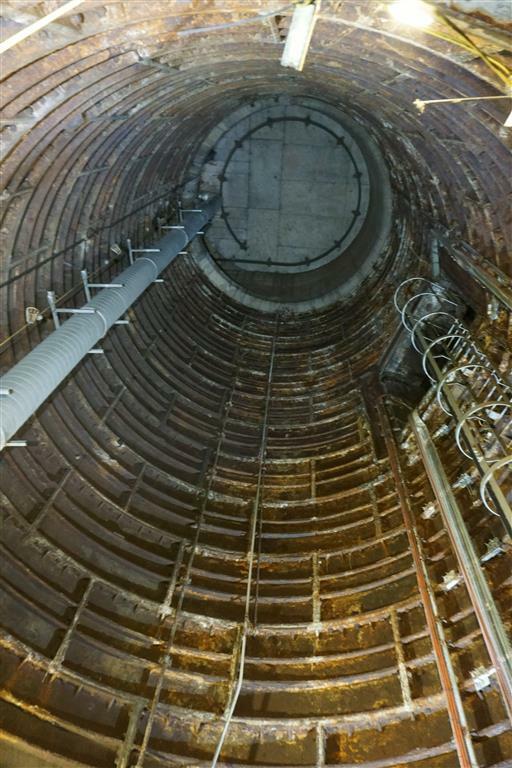 There’s also the possibility that one day these tunnels may be demolished if the planned construction of the second national high speed rail line goes ahead. 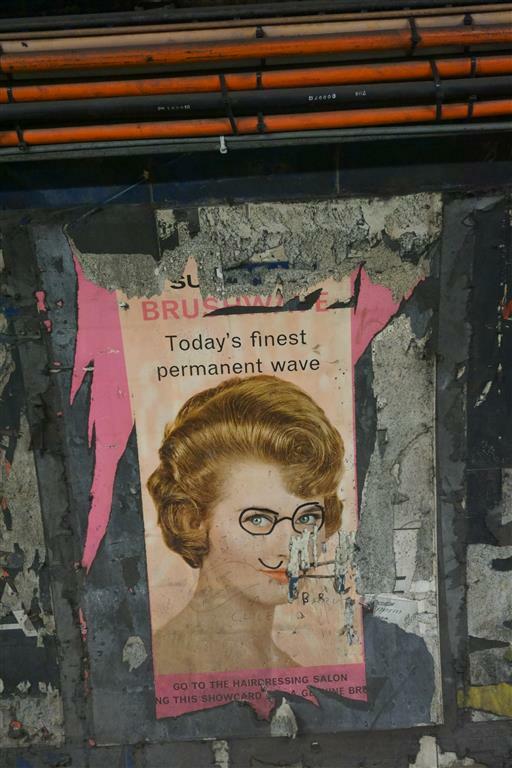 This will also bring redevelopment to Euston and further changes to the underground station. Unfortunately most of the tours are now sold out for the rest of the year. 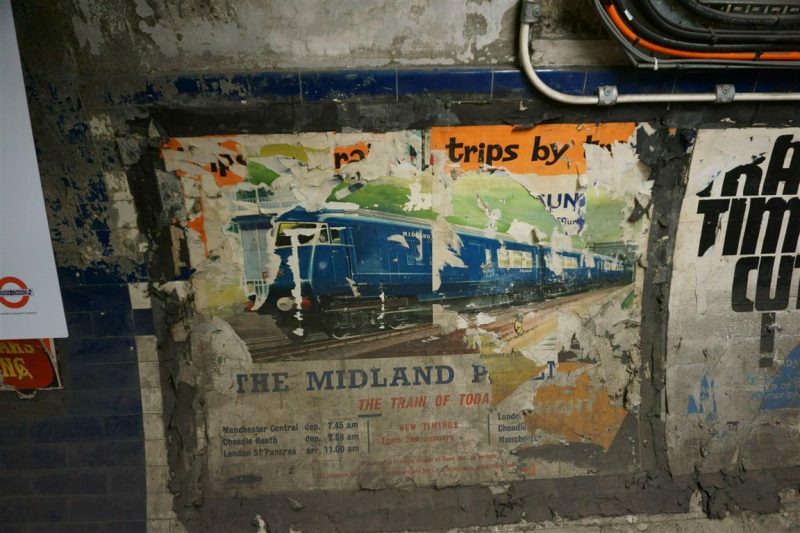 But if you’d like to be notified of future tours then sign up to the London Transport Museum’s newsletter. Thank you! There was a lady in the group that was even getting excited when she saw me taking the photo that she bumped my arm! So I had to take another shot lol 😉 Have a great weekend too! I’m very glad to hear that the tickets are all sold out because my boyfriend was just visiting from SA and if he had known there was an opportunity of doing this tour, he would have been very upset! I am definitely going to sign up so we can do this on his next visit! 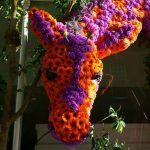 Interesting post! I’m so envious – we have tried to get on these for years and never managed to as the demand is so great! Ah no, hopefully next year then!